In the UFC every day we see the best strikers, grapplers and take-down artists that MMA can provide. Individuals like Carlos Condit and Donald Cerrone are some of the most gifted strikers in the octagon today. Names like Joe Lauzon or Gunnar Neilson are synonymous with jaw-dropping submissions. Chad Mendes, Chris Weidman and Jon Jones have brought audiences to their feet with gravity-defying slams and suplexes. Incredible athletic feats from some of the best fighters in the world today…but what if someone told you that they hadn’t even scratched the surface of the abilities of the individuals who had inspired them? What if you found that these titans in the ring were skillful in the UFC, but that individuals outside of the cage doors had perfected the respective crafts even further than UFC champions and contenders? In the following, we’re going to take a look at five of the most gifted combat athletes in the world today outside of MMA, analyze their skills, contributions (and highlight reels) and give a broader scope to the world of combat sports. Here are the 5 Martial Artists outside of the UFC that every fan MUST know. Many MMA fans have heard of Schilling due to his presence in the corner of UFC badboy Nick Diaz in his bouts against Carlos Condit and Anderson Silva, but “Stich Em’ Up” has created quite the legend for himself in kickboxing rings around the globe, as arguably the best Middleweight kickboxer in the world. A ferocious puncher with and incredible ability to withstand punishment, Schilling has amassed a record of 20-6 against almost exclusively the best kickboxers on the planet, and smashing his way to a 61% KO percentage in his career so far. 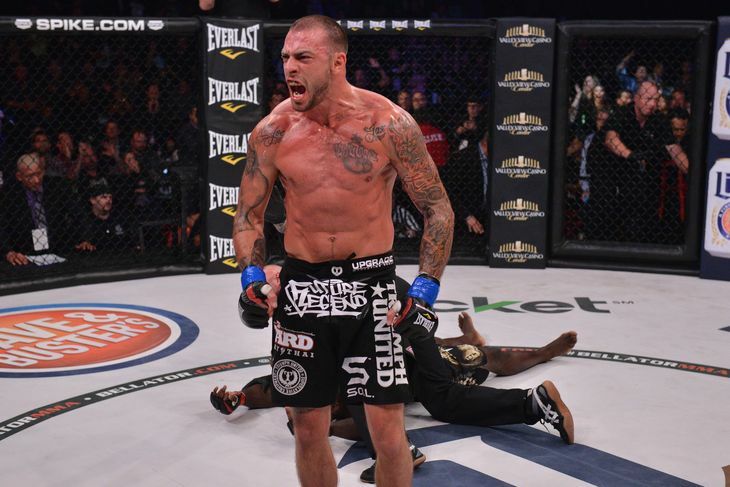 He was a multiple time Light Heavyweight World Champion and in 2013 won the Glory (likely the best combat sports promotion in the world for people who want some face-punching excitement) Middleweight Tournament in 2013. Frankly, the only thing more ferocious about Schilling than his actual striking is his trash talk, as the California slugger has made a nice career for himself as a genuine bad-boy in a sport where there is a whole lot of bowing. Schilling isn’t bowing to anyone, and his respect is earned, not given. Additionally, Schilling is also trying to grow into an MMA career, but has not found the same success as he has in the kickboxing ring, due to opponent’s (intelligently) refusing to stand and trade with the bruising striker and shooting for the takedown. But make no mistake, on the feet, there are few better in the world than “Stitch Em’ Up” Schilling when it comes to fast-paced and precise brutality. When people call you “The Lion Killer”, its almost a given that you’ve proven yourself a certifiable badass. What makes Gary Tonon special, however, is the ridiculous age that he’s achieved that title. At only 23 years old, Tonon has won the world No-Gi submission grappling championships (2011 & 2012), won the Pan American No-Gi grappling championship four times (2010-12, 2015) and a two time Eddie Bravo Invitational Champion (2014 & 2015), where marijuana enthusiast and grappling legend Eddie Bravo hand-selects the best submission fighters in the world to compete. Tonon is an unprecedented talent in the Submission Fighting scene, a young ace who’s fights are often as much spectacle as athletic contest. High-flying stunts, somersaults, and submissions out of nowhere is his calling card. A leg-lock master with incredible transitions, intense aggression and a finish-the-fight mentality, Tonon is quickly asserting himself, in spite of his young age, as the unquestioned king of the up-and-comers, submitting opponents with an alarming ease. People who say grappling is boring have never seen Gary Tonon. 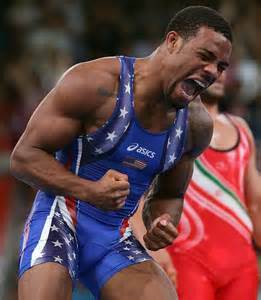 A 4x World Champion and Olympic Gold Medalist, Jordan Burroughs may be the most accomplished athlete on this list in terms of hardware, as the American phenome has, simply put, laid waste to any and all in his quest for gold. Whether it’s the world wrestling championships (no not that WWE nonsense) or the Olympic Games, Burroughs is a game-changer. Some sort of human cheat-code, the Nebraska wrestling product was a two-time undefeated national champion and three time All-American. In college, Burroughs amassed a record of 128-20, the fourth most accomplished wrestler in the history of one of the marquee programs in collegiate wrestling. As an Olympian, Burroughs won the gold and beat every single opponent he faced without surrendering a point, in one of the most dominant athletic displays in Olympic history. You want an impressive win-loss record? The great “Iron” Mike Tyson, one of the greatest fighters to ever live had a record of 50-6, with 46 knockouts. Pretty impressive right? How about 87-11 with 46 knockouts? Then what if we also mentioned that he’s not even a heavyweight, or a light-heavyweight…but 170 pounds. “The Natural” has made an art form out of pulping the faces of the best strikers on the planet, and effectively establishing himself as the undisputed king of Glory’s shark-tank of a Welterweight division. The Dutch kickboxers have asserted their dominance over kickboxing for quote some time now, men such as Bas Rutten, Raymond Dekkers (who will get an article all to himself) and Alistair Overreem, to name some of the more famous individuals. Holzken encapsulates the style that brought Dutch Kickboxing to the forefront of the sport, in constantly attacking with a diverse array of hand combinations, and brutal, thudding leg kicks. Holzken is a human battering ram, horrifying accuracy with his punches pave the way for leg-kicks like a baseball bat, chopping and bludgeoning his opponents into shells of the men they were when they stepped into the ring. He has devastating power in all of his limbs, and has demonstrated incredible efficiency with his body shots. Specifically, a left hook t the body that appears to knock his opponents’ liver into their respective mouths. Yes, “The Natural” may be the best kickboxer in the world today, and if you don’t believe it, there are 87 men who will tell you otherwise. I’m going to warn you in advance, if you Google Canelo Alvarez after this article and get an individual who looks like he couldn’t possibly have that name…that’s him. Yes, the world’s most Irish-looking Mexican fighter is also a certified killer in the ring, a real throwback to the great Hispanic boxers of the past. A truly savage power-puncher with a right hand like a cinder-block, Canelo has tasted defeat only once, to none other than the great Floyd “Money” Mayweather. At 25 years old, Alvarez has an incredible 46 wins and 1 loss, with 68% of his wins ending in a knockout. His right hand may as well be a handgun, he throws it early and often and when it connects, opponents find themselves on roller-skates…and in a whole mess of trouble. The most enjoyable aspect of watching Alvarez fight is his incredible ability to close the deal when the opportunity presents itself. 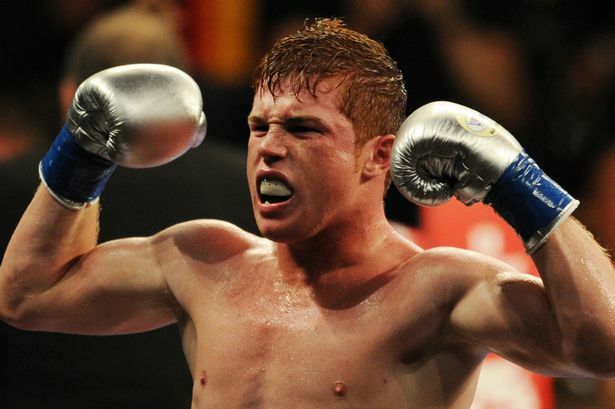 When Canelo smells blood, he dives in head-first, ruthless combinations flow, ribs are shattered, noses are bent and consciousness is lost. With “Money” Mayweather drifting off into retirement, and Manny Pacquiao not far behind, expect Alvarez to become boxing’s next big star, and deservedly so, no Mayweather decisions from this bomber, just aggression and bloodshed.